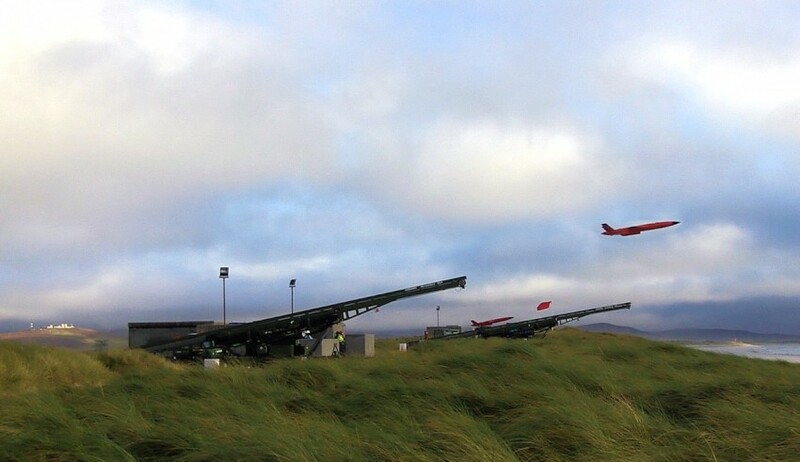 QinetiQ flew Mirach and Firejet aerial targets together for the first time during a live exercise from Ministry of Defence (MOD) Hebrides on the Western Isles of Scotland as part of Formidable Shield, an exercise supporting eight NATO countries. In a first for QinetiQ, two Firejet and two Mirach targets were launched simultaneously and flew in formation to be engaged by participating navies. Both Mirach and Firejet are high speed, manoeuvrable targets that can fulfil long range sea skimming profiles allowing representative training and test and evaluation for Navy customers. One of the most sophisticated and complex exercises of its type ever undertaken in Europe, Formidable Shield is designed to test NATO countries integrated air and missile defence capabilities. QinetiQ, operating MOD Hebrides Range as part of the long-term partnering agreement, is managing the safe operation of the range for the eight participating countries: Canada, France, Germany, Italy, Netherlands, Spain, the UK and the US. Formidable Shield, led by the US 6th Fleet and supported by the UK MOD, aims to improve allied interoperability in a live-fire integrated air and missile defence environment, using NATO command and control reporting structures. Steve Fitz-Gerald, managing director maritime, land and weapons QinetiQ said, "The launching of both Firejet and Mirach targets at the same time is an important first, as part of Formidable Shield. Providing sophisticated and complex scenarios is for the UK’s future defence capability. "Being able to fly several targets simultaneously, significantly enhances the MOD Hebrides Range, ensuring we maintain a truly world-class capability. This will ensure the range continues to be attractive to international and UK customers."